In January 2018, the top policy executives from YouTube, Facebook, and Twitter testified in a Senate hearing about terrorism and social media, touting their companies’ use of artificial intelligence to detect and remove terrorist content from groups like ISIS and Al Qaeda. After the hearing, Muslim Advocates, a civil rights group that has been working with tech companies for five or six years, told executives in an open letter it was alarmed to hear “almost no mention about violent actions by white supremacists,” calling the omission “particularly striking” in light of the murder of Heather Heyer at a white supremacist rally in Charlottesville, Virginia, and similar events. 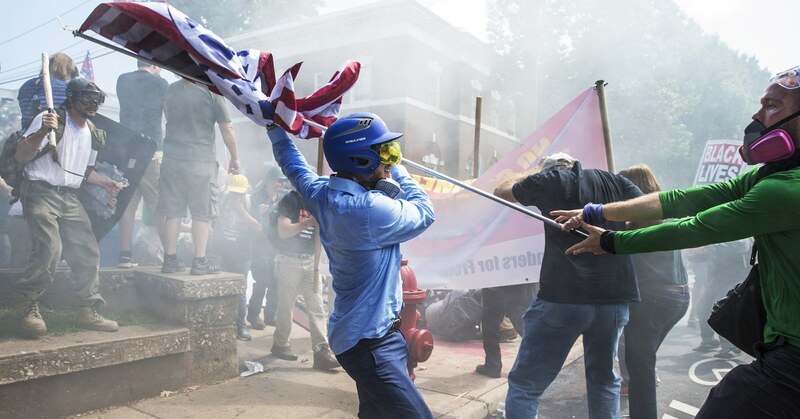 In the US, some critics say law enforcement is hamstrung in combating white supremacists by inadequate tools, such as the lack of a domestic terrorism law. But the big tech companies are private corporations accustomed to shaping global public policy in their favor. For them, failure to police terrorist content by white supremacists is a business decision shaped by political pressure, not a legal constraint. Tech companies say that it is easier to identify content related to known foreign terrorist organizations such as ISIS and Al Qaeda because of information-sharing with law enforcement and industry-wide efforts, such as the Global Internet Forum to Counter Terrorism, a group formed by YouTube, Facebook, Microsoft, and Twitter in 2017. On Monday, for example, YouTube said on its Twitter account that it was harder for the company to stop the video of the shootings in Christchurch than to remove copyrighted content or ISIS-related content because YouTube’s tools for content moderation rely on “reference files to work effectively.” Movie studios and record labels provide reference files in advance and, “many violent extremist groups, like ISIS, use common footage and imagery,” YouTube wrote. Law professor Hannah Bloch-Wehba hasn’t seen any evidence that technology is inherently more adept at identifying ISIS-related content than right-wing extremist content. Rather, she says, tech platforms built these tools in response to pressure from regulators and engineered them to address a specific kind of terrorist threat. Bloch-Wehba says tech-company definitions of terrorism tend to be vague, but ISIS and Al Qaeda are typically the only groups named in their transparency reports, which reveals their priorities. The cycle is self-reinforcing: The companies collect more data on what ISIS content looks like based on law enforcement’s myopic and under-inclusive views, and then this skewed data is fed to surveillance systems, Bloch-Wehba says. Meanwhile, consumers don’t have enough visibility in the process to know whether these tools are proportionate to the threat, whether they filter too much content, or whether they discriminate against certain groups, she says. If platforms are now having a harder time automating the process of identifying content from white nationalists or white supremacists, “it’s going to be hard for them to play catch up,” Bloch-Wehba says. For years, Muslim Advocates took it as a good sign that tech executives would meet with the group and appeared responsive. “But then we realized that nothing was actually changing,” Ahussain says. YouTube says its guidelines prohibiting violent or graphic content that incites violence are not limited to foreign terrorist organizations and go beyond just ISIS and Al Qaeda. The company estimates that the Global Internet Forum contained 100,000 hashes of known terrorist content at the end of 2018. YouTube says it’s taking a stricter approach to videos flagged by users that contain controversial religious or supremacist content, even if the video doesn’t violate the company’s guidelines. In those cases, YouTube will not allow those videos to contain ads, remove the videos from its recommendations algorithms, and remove features like comments, suggested videos, and likes. Facebook pointed to a company blog post on Monday about its response to the New Zealand tragedy. The company said the original Facebook Live video was removed and hashed “so that other shares that are visually similar to that video are then detected and automatically removed from Facebook and Instagram.” Since variants of screen recordings of the stream were difficult to detect, Facebook used audio technology to detect additional copies. Ahussain says meaningful change will only come if tech platforms want to address the issue, but the lack of diversity within tech companies has led to a lack of understanding about the complexities and nuances of threats faced by the Muslims. To address that, Muslim Advocates and other groups want tech companies to hear directly from the communities that have been impacted. “We’ve recognized the need to have conversations in a neutral space,” and with a chance to set the tone, agenda, and guest list, she says.